TorrentRatio allows to easily increase your ratio on BitTorrent trackers like filelist.org, torrentbytes.net and others. It works with any BitTorrent client. Periodically, usually in 20-30 minutes, BitTorrent Client sends request to tracker for asking more peers and report about your downloaded and uploaded statistics. TorrentRatio hooks into windows socks library and watches to match tracker report URL and change &uploaded= and &downloaded= fields. •To watch logs you can use DebugView for Windows . 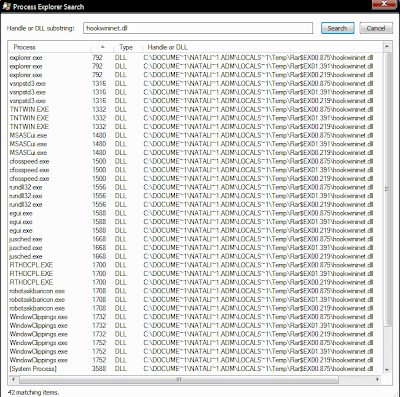 hookwininet.dll stick on all running processes, don't unload and crash my browser! TrackerPro allows easily increase your ratio on BitTorrent trackers like filelist.org, torrentbytes.net and others. 1.Download some torrent files to your local drive. 3.Add torrent files to TrackerPro. 4.Torrent Pro will start to increase your Upload data without really uploading or downloading something.